On Wednesday, March 18th, Ebbe Altberg gave the keynote presentation at the 8th annual Virtual Worlds Best Practice in Education conference, which runs through until Saturday, March 21st inclusive, in both Second Life and OpenSimulator. His key address lasted a little over an hour, in which he outlined the Lab’s approach to education and non-profits, provided some insight into what Lab’s future plans, and discussed further information on the Next Generation platform. Following this, he entered into a Q&A session, which ran beyond the main session time, switching from voice to text chat in the process. The following is a transcript of his initial comments and review of the Lab’s relationship with the education sector, his overview of Second Life as it is today, a look to the future, and his concluding comments. I have produced a separate transcript dealing with his comments on the next generation platform. 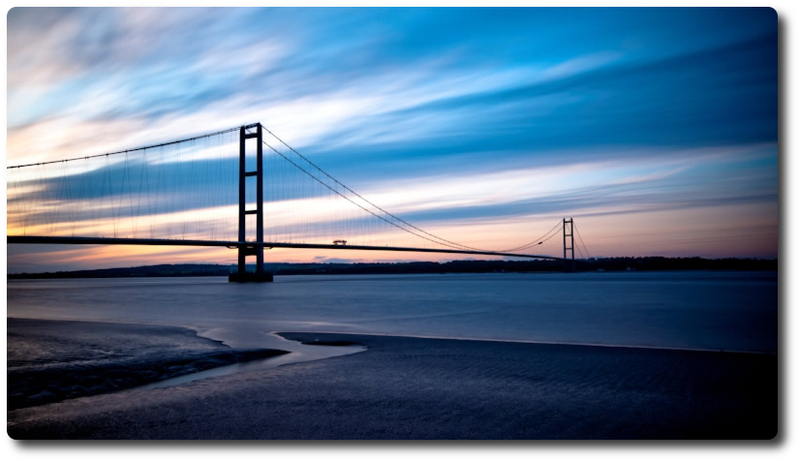 As well as including the official video, embedded below, I’ve included audio playback of each part of Ebbe’s talk for those who prefer to listen while reading. Timestamps to both the audio segments and the video are provided. Click the links below to go the relevant section. [00:00 / 02:55] First off, I’m really, really happy to be back at the VWBPE. Last year, I was pretty much brand new at Linden Lab, and we’ve had a year since then, and a lot of good and interesting things have happened that we’ll talk about. Like you heard in the introduction, we’re going to leave plenty of time at the end for Q&A so that we can talk about all [the] things that are on your minds. [00:38 / 03:34] So, since last year there have been a lot of changes at the Lab, We have simplified the portfolio of products that we are working on. Since I was here last year, we’ve discontinued work on six products [actually five (that were known about): Creatorverse, dio, and versu, and Patterns and Desura]. The little “Dorito man” headed off into the sunset in October, as Patterns followed Creatorverse, dio and Versu in being axed from the Lab’s nascent product portfolio. 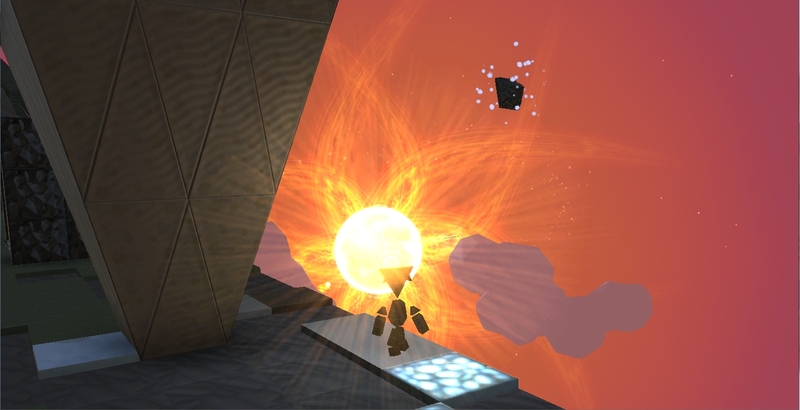 It was followed in November by news that Desura had been sold. [01:02 / 04:00] So we have a much more focused company now, and we’re focused on things that are all relevant to user generated content, either through Second Life, or blocksworld, or through this next generation platform you have yet to see but we’re working on very, very hard to bring to you all. [01:21 / 04:30] So focus has greatly improved. The other thing I wanted to talk about is some of the improvements made in Second Life. Performance and quality has greatly improved over the course of the last year, with the CDN work and the HTTP pipelining work some of you may have heard of, which should make access to worlds snappier than it used to be. i still feel we still have a lot to do to make it even more performant, but we’ve made great strides in that area. [02:04 / 05:01] We also brought you the ability to experience Second life with the Oculus, so you can get sort-of an introduction to virtual reality if you have a chance to get your hands on an Oculus device. [02:19 / 05:18] And we’ve also, I think, made a lot of improvements in how we market ourselves, how we’re connecting with you and many other customers and different audiences. I would say that when I showed up here a year ago, the relationship between the Lab and customers and partner was not great; and I think that’s improved greatly. We’ve spent quite a bit of effort, particularly Pete and myself, but also many other Lindens, socialising with you all, talking to you about what we can do better, how we can do things differently, better understand what you’re trying to accomplish. and so I think today, the relationships between us and you are much improved. [03:19 / 06:18] We’ve spent quite a bit [of time] talking to the press; Pete and I have spoken to many. I would say a year ago, that was a difficult thing to do; Second Life was seen as old and not particularly relevant. Since the, we’ve had a tremendous boom and boost in all things virtual reality. It sort-of kicked-off with the big acquisition Facebook did when they acquired Oculus for two billion, and when the world started to realise that virtual reality was something that could be achievable much sooner than people [who] had been working in this area had previously thought. So there has been a massive acceleration in people’s mind of what virtual reality can and will do. [04:16 / 07:15] So now it’s pretty easy to find people who want to talk to us, whether partners or press, about what we’re doing, and people are realising that our experience running Second Life is actually extremely valuable now that virtual reality and virtual worlds are all a sort-of hot topic again. So it’s very exciting for all of us to have the rest of the world sort-of get re-introduced and re-energised by what’s possible in virtual reality. [04:50 / 07:50] We’ve also spent quite a bit of time focusing and understanding education specifically in the context of Second Life, and also understanding it so that we can do a better job with our next generation platform to meet your needs in even better ways. And it’s absolutely clear that the capabilities of 3D and virtual experiences such as visualisation and simulation, and the ability to interact within those environments is an extremely strong component of how we can improve learning and teaching. [05:33 / 08:32] We see evidence over and over again of how it’s proven that people can more quickly understand subject matter, content and experiences much better and much faster with much better retention of information, if they can experience something in a virtual context where they can do things, not just read or watch. [06:00 / 08:58] We have well over 300 organisations that are taking advantage of our discount programme for educators and non-profits. I think there used to be more than that in the past, and we’re looking forward to making that grow back as we do a better job of meeting your needs. [06:26 / 09:24] And we continue to hear over and over again just great stories from the community of educators about what they’re doing in Second Life, the success they’re having in Second Life to teach and learn all kinds of subjects from languages to chemistry to economics to health. The stories just keep going and going, and that’s really motivating for us to hear these success stories. [06:56 / 09:54] And we started a thread on our forum, and I know there’s quite a few stories elsewhere out there, especially on [the] VWBPE.org site. so please continue to share these stories and successes with us; it helps motivate people, it energises us, and also helps us learn what we can do to help you be even more successful. [07:25 / 10:24] Like I said, we’ve spent quite a bit of time collaborating and communicating with various groups in the educational community in Second Life, and that’s absolutely great. It’s a great group of people to interact with, and often times I’ve asked these groups to work together to come up with the things that they find [as] the most important things for us to work on. [07:54 / 10:53] Sometimes it can be difficult for us to filter all of the ideas and wishes and needs from a community as large as yours, and when you take the time to collaborate among yourselves to further refine priorities and needs for us, it helps a lot. We have to do less guesswork to understand what really matters to you all. [08:19 / 11:17] I’d particularly like to thank Serenek Timeless, Aldo Stern, JJ Drinkwater Lorelei Juno who, at the end of last year took that request to heart and talked to … more than 60 educators to come up with a sort-of prioritised list of issues and concerns and opportunities for us to think about and focus on to help you all. so I’ll speak to some of these, and what I don’t speak to, obviously feel free to ask questions about afterwards in the Q&A session. [08:57 / 11:56] One thing that comes up quite frequently, and probably because we’ve made mistakes in the past, is the question about pricing. I just want to make it very clear that we have absolutely no intention of repeating the mistake we did in the past of removing the discount or increasing the pricing. [09:17 / 12:15] So we have absolutely no intention whatsoever to make it more costly for you. [09:22 / 12:21] We spend no time thinking how to make it more costly for you. We spend actually quite a bit of time thinking about how we can make it less costly for you; and it might be difficult to do in the context of Second Life, but we will try. But as we think about the next generation platform, this is something that’s thought about from the beginning, about how we can make it more economically feasible for more people to participate. [09:51 / 12:49] Another thing that comes up is the ability to easily create content. you know, simplified building and scripting capabilities so that all users can create something. [10:07 /13:06] We do think of creators in sort-of three categories of users that we believe we have to meet the needs of. You have the sort-of artisan or professional people that can create some really high-end experiences. We have the hobbyist, which I would say is where there’s a lot of them in Second life, who don’t necessarily have a formal background in 3D or animation or CGI, but are able to use Second life to create incredible things. [10:43 / 13:41] And then we have the vast majority of people, who we call “customisers”; they don’t necessarily create original content, but they take bits and pieces by shopping or finding or being given items that they can then place, whether it’s to get dressed or to make their space laid-out just as they like it. So they don’t necessarily make the chair, but they put the chair where they want it. It’s sort-of like real life; most of us don’t build the clothes and cars and homes that we live in and use every day. We’re customisers, most of us; we get dressed in clothes that others make, and that’s probably how it’s going to be in the virtual space as well. [11:30 / 14:28] We do want to make it as easy as possible for people to create content and contribute content. and I don’t expect there to be huge changes in Second life in this area, although we are working to improve the ability to import content from the outside world. [11:50 / 14:48] As we think about the next generation platform, which I will talk about more later on, we’ll make a number of difference I’ll speak about then. But the scripting language will change, support for third-party will be very important to us; but I’ll talk about that in a bit. [12:08 / 15:06] Another thing [is] an improved and customisable new user experience, including entry points. This is something I’ve spoken about before. We feel it’s important to make it very easy for the creators of an experience to be able to attract an audience to come directly to that experience without the need of having to go through some generic front door to get going. [12:39 / 15:37] And so we will continue to think about that in the context of Second Life, of how can we bring back notions we’ve had in the past of community portals or some such, and also how SL URLs, or SLurls, can be optimised to be [a] more efficient way of bringing users directly into a particular place. I would say the SLurl today is kind-of a crooked path to come on-board from from the outside world. [13:10 / 16:09] So we want to improve all these things, so it is easier for all of you to bring users into the experiences you want them to come into. On Wednesday, March 18th, Ebbe Altberg gave the keynote presentation at the 8th annual Virtual Worlds Best Practice in Education (VWBPE) conference, which runs from March 18th through 21st inclusive, in both Second Life and OpenSimulator. The following is a transcript of his core comments on the Lab’s next generation platform. These commence at the 31:20 mark into the official video of the event, although obviously, mention is made of both in reference to education earlier on in his presentation, as Ebbe discusses education, issues of accessibility, etc. I’ve included audio excerpts here as well, for further ease of listening to his comments whilst reading. Time stamps to both the audio tracks and the video are supplied. [00:00 / 31:20] So, the future platform for virtual experiences. We’ve said that the next generation platform, we still don’t have a name for this thing; we have a code name internally, but we don’t want to leak that out or use that, because that could just be confusing and distracting, and it’s probably going to change soon anyway. So we just refer to it as “the next generation platform”. [00:21 / 31:42] We do not refer to it as “SL 2.0”, because that might imply a little too much linearity, and we don’t want to necessarily constrain ourselves by the past; but we also want to obviously take advantage of, and leverage, our learnings from the past. [00:39 / 31:38] But the progress is going every well. I would say we’re about 8-9 months in on working on this; I would say the last six months have been absolute, full-on with a big crew. We’re talking close to 40 people or more; probably 30+ just engineers, and then obviously a bunch of product managers and designers working on this product. [01:38 / 32:59] But why didn’t it go to five million, ten million, 100 million? And what can we do to solve some of the things we thought caused it to sort-of max out there? [01:52 / 33:11] One area where we want to think quite differently is discovery; how do I discover an experience? Today you pretty much have to be inside Second Life to discover an experience, and we want to make it a lot easier for people to be able to discover an experience from the outside. So that you can create an experience, and [people can] much more easily find your experience and enter your experience without having to necessarily at that point being aware of the notion of this platform or what other types of things are available to them. They can discover those as they go along. Make it easier for you to bring your audience directly into your experiences. [02:36 / 33:55] Accessibility. Today, when you leave your PC, you pretty much leave Second Life behind, [so] what can we do to make sure it’s available on more platforms? It’s obviously getting more complicated now with all these VR platforms, so what used to be PC, windows and Mac, which we support today; and then mobile, which you can get access to today if you use a third-party service like SL Go or some other clients that support mobile. [03:10 / 34:29] But we want to think about mobile as something we can support form the beginning; but again, the number of platforms across mobile, PCs and VR … [there’s] more and more of them. so it’s tough to keep up. So we are building a next generation platform from the ground up to make possible for us to take advantage of all these different platforms. [03:37 / 34:57] Scalability. This is a really important one; an event like this highlights it. There’s a tremendous amount of effort that goes into putting on a meeting like this with just a couple of hundred people in-world. We have to put together four corners and you have to do a lot of work, and it’s still creaking at the seams as we speak, to put something like this on. [04:06 / 35:25] We want [with the] next generation platform to make the size of an event like this to be a trivial exercise, and then figure out how, with various techniques, to make it possible to do events like this for tens of thousands of people. [04:26 / 35:46] That’s one way to think of scalability: how do you get more people in a region, how do you get more people to be able to participate in an event at the same time. but [there’s] also the scalability for creators. How do you make it possible for creators to not only be able to reach a larger audience, but also make more money, too. [04:44 / 36:14] Take the classroom that Texas A&M put together for teaching kids chemistry. The developers of that experience of teaching chemistry, they probably did as a one-off, for some fee, job for Texas A&M to create that classroom. When the classroom is used by students at Texas A&M, you know, 20 students, whatever, then that experience is fully in use. [05:22 / 36:41] What if that developer could have an unlimited number of copies of that experience to rent out or sell, and every institution could use that virtual classroom all at the same time? That makes for a much more appealing prospect for a creator of an experience, and gives them a greater opportunity to monetise their experience. And then we’ll get more high-quality content creators introduced into the economy, and then everything sort-of heads upwards. So that’s something we think about a lot. [05:56 / 37:16] We also think about quality. Quality is a range of things: ease of use, quality of physics, lighting, basic performance of how smooth are things, how easy is it to do things, how natural an avatar can we make. [06:21 / 37:41] The skeleton system in the new avatars we’re working on are way, way, way, more complex than what we have in Second Life. [06:29 / 37:48] How can we make it easier for people to shop and get dressed and do these types of activities with much higher visual fidelity at the same time. So we think a lot about that. [06:46 / 38:05] And then monetisation – the way we [Linden Lab] monetise. I’d say our business model is a little be strange in Second Life today. We charge you a lot for land, and then we charge you almost nothing for all of the transactions that happen in-world. So, I’ve said this before, but generally we think about how do we lower our property taxes by a lot and at the same time, we’ll have to raise sales taxes to make some of the difference. [07:15 / 38:35] And then also how can we build a platform that [is] technically less demanding, so that it costs us less to operate all of this content that we’re running all of the time, so that we can have a lower barrier to entry, and make it possible for people to come it and create some really interesting things at very low cost. And so that’s a big focus for us. How can we make less money per user, almost, but have a lot more users, is kind-of the core of the puzzle we’re trying to solve for. Wednesday, March 18th marks the start of the 8th annual Virtual Worlds Best Practices in Education (VWBPE) conference, which will be taking place in both Second Life and the OpenSimulator based AvaCon Grid. The theme for this year’s event is Crossroads, and will include a presentations by keynote and featured speakers, panel discussions, workshops, social events and more, running through until the conference closes on Saturday, March 21st. Full details on conference events can be found on the VWBPE conference calendar. However, for ease-of-reference, here’s a quick run-down of the keynote and featured speakers, and the main discussion panels. together with other pertinent information. As always, all times are SLT. The 2015 Virtual Worlds Best Practices in Education (VWBPE) conference will take place in Second Life and OpenSim between Wednesday, March 18th and Saturday, March 21st inclusive. VWBPE is a global grass-roots community event focusing on education in immersive virtual environments which attracts 2200-3500 educational professionals from around the world each year. The theme for this, the 8th VWBPE conference is Crossroads, and the organisers have released an update to remind people that the first set of crossroads regarding their involvement is approaching, with deadlines drawing near. Exhibition space is available at the main VWBPE venue in Second Life, providing the opportunity for exhibitors to display and promote their products and / or services in 3D. Spaces within the exhibition area are limited, and will be provided on a first come, first serve basis, with priority being given to educators, community organizations, and non-profits. Please visit the conference Exhibits page for further information. Named after its first recipient in 2014, Thinkerer Melville (Selby Evans in the physical world), the Thinkerer Award is presented to an individual whose deeds and actions have shown consistent selfless service towards the promotion of learning, community, and educational practices, and who exemplifies the spirit of cooperative development within immersive environments. Nominations are currently open for potential recipients of the 2015 award, and those interested in nominating someone are directed to the Thinkerer Award nominations guidelines for further information. 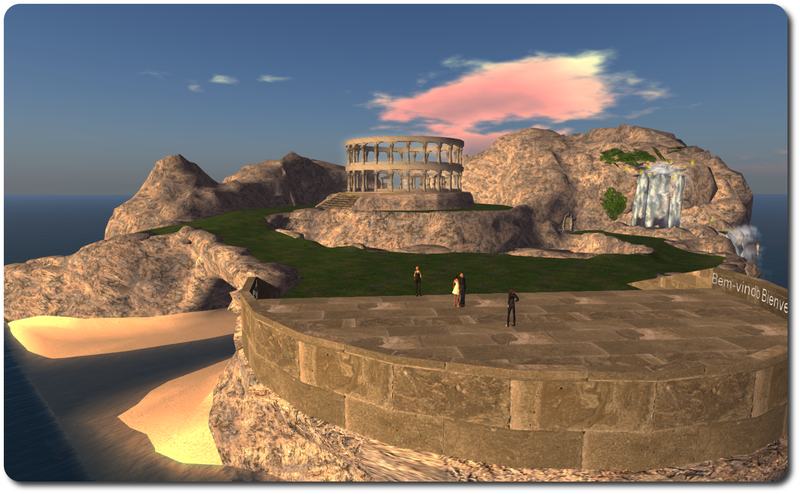 Explorations – the VWBPE post-conference virtual tours – provide an opportunity for educational leaders to share their visions of education beyond the traditional classroom setting, by offering tours of their virtual environments to their VWBPE peers. These tours have historically generated the greatest excitement in the spirit of inspiration and sharing, and and promise to do so again, both through them and through the use of social media tools. Those wishing to present a tour of their virtual environment can find the guidelines and submission requirements for doing so on the VWBPE Explorations page. The conference calendar is now available, and can be seen on-line (use the Go To options to advance to March and the conference, if necessary). 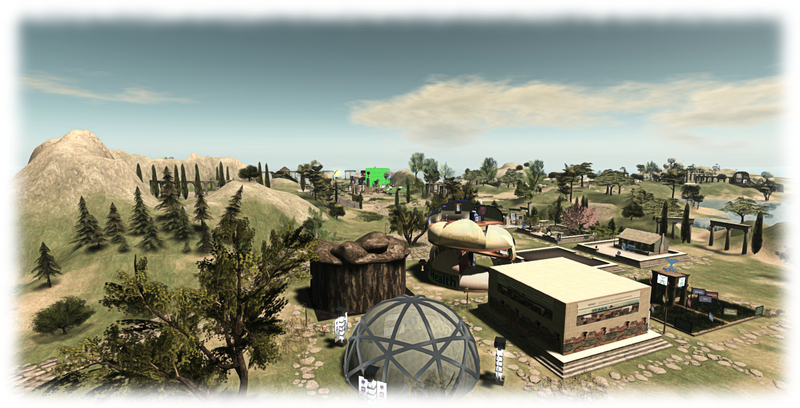 Conference events will commence at 13:00 SLT on Wednesday, March 18th, with the opening keynote address by Ebbe Altberg, entitled Education in Second Life and in the Future. This will see Ebbe share his thoughts on the value Linden Lab places on the education market, some of the compelling educational uses cases he’s seen during his tenure as CEO, and his perspective on how virtual experiences and education will be important to one another in the future. Following the opening keynote, and throughout the four days of the event, the conference will present a mix of keynote addresses, presentations, talks, discussions and more, covering a broad canvas of education and virtual mediums. Attendance at the conference is free, and the attendee registration page is open. For those who which to support the costs involved in staging VWBPE events in both Second Life and OpenSim, can also opt to register using one of the Crowdfunder options available via the registration page. Best Practices in Education are at the forefront of a technically revolution that is creating inspiring innovation in the classroom; a revolution which is adding momentum to the intersection where academic learning meets a student’s willingness to engage in simulations which build moral character, leadership ability, and critical thinking. Be a part of these exciting trends by helping support a conference for educators who use leading edge tools and techniques in the classroom. The VWBPE conference reaches over 3000 educators from around the world who are advancing these educational techniques. Donations are used to help create open-sourced, peer-reviewed archives which extend well beyond the 3-4 days of the VWBPE conference, as well as permit teachers and educators to learn how to work with changing technologies in the classroom. In addition, your brand recognition will expand well beyond a simple 4 day conference given that it will be part of the public record and accessible through the US Library and Archives. You can view past conference proceedings at the Journal of Virtual Studies. There is no better investment than in educating the future leaders in advanced education, so learn today how to become a sponsor for the 8th Annual Best Practices in Education Conference. As well as keynote speakers, activities include presentations and workshops which span all of education from primary through to post-graduate levels. 2015 marks the eighth year in which the conference has been held. 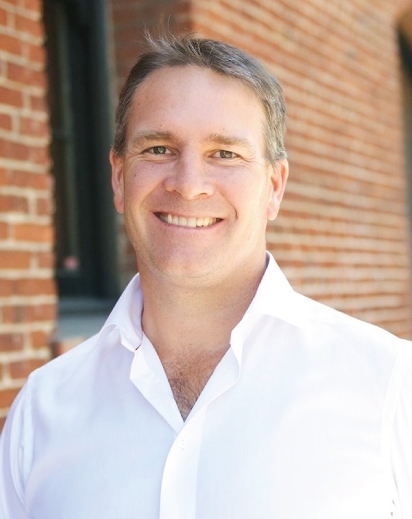 The theme for this years event is Crossroads, and the event’s opening speaker, as many already know, will be Ebbe Altberg, Linden Lab’s CEO. 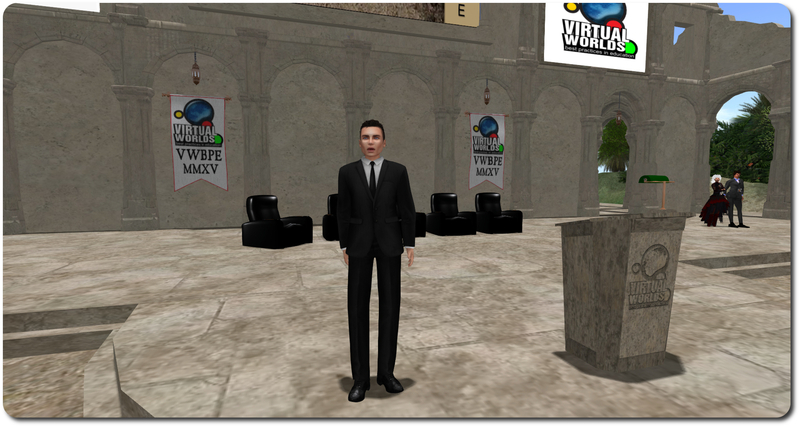 VWBPE 2014 marked one of Ebbe’s earliest public appearances before users in an open forum. Over a period of 90 minutes, he demonstrated his willingness to engage directly with people when he took an unscripted questions-and-answers session (full transcript) with the 200 people in attendance or watching the livestream. Since that time, and throughout 2014, he continued to meet with a wide range of groups and communities – including representatives of the education sector. With the Lab now engaged on both enhancing Second Life to the best of its abilities and in developing a new virtual world(s) platform, there is liable to be a lot of interest in what is said during his presentation. The VWBPE attracts a wide range of speakers from the education sector, non-profit organisations, the arts, and so on. As noted in the original announcement that Ebbe would be opening the event, there is an open invitation to anyone who would like to make a presentation or run a workshop. However, the clock is now counting down. If you are intending on submitting a proposal for a presentation or activity at this year’s event, please remember that the closing deadline for proposals is Wednesday, January 14th, 2015 (extended from December 14th, 2014). Proposals should be submitted on-line via the VWBPE Conference Central site (registration required), and guidelines are also available. As a volunteer-based event, VWBPE depends upon sponsor support, and 100% of all sponsorship goes directly to funding each year’s conference to cover expenses such as the provisioning of information systems, development of video and machinima (and associated archives), live video streaming, social activities, professional building (mesh object) design and construction for virtual venues, graphics design and swag bags for attendees. No-one involved in the organisation of the conference receives a salary or stipend. Several levels of cash sponsorship packages (US dollar value) are available for those interested in supporting the conference. Details of these, and the benefits of sponsorship, can be found on the conference sponsorship page.